Traditionally, the teachers of the language of schooling have received little training in teaching a language as a second language or in developing the plurilingual repertoire of their learners. Today, learners bring many different languages to school with them and we cannot pretend to be monolingual in the language of schooling classroom. Teaching of the language of schooling has to extend beyond teaching it as a first language and to adopt elements of second language teaching. We need to reconsider the key aims, core content and teaching methods of the subject. Changing from a monolingual to a plurilingual mindset benefits both students whose first language is different from the language of schooling and native speakers of the first language. Today, all learners in the classroom are plurilingual. In and outside of school, formally and informally, they learn more than one foreign language and master different varieties of their first language (dialects, hobby-related registers, language use typical to certain communities, etc.). Various languages and language varieties do not exist separately in people’s minds: they are part of the same linguistic repertoire. Therefore, we should not ignore learners’ proficiency in various languages in the language of schooling classroom. Languages need to be seen as a valuable resource that learners can draw on when using a language for a particular purpose. 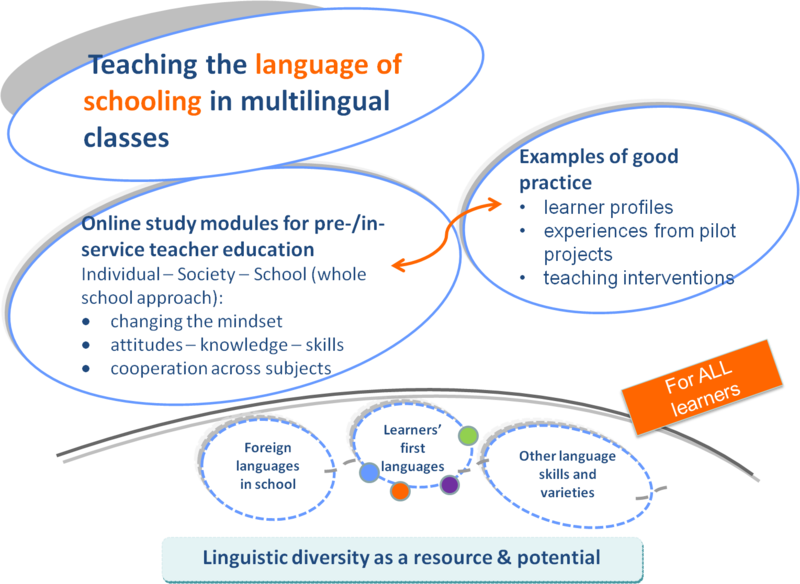 All language teaching should enhance learners’ individual and multilayered language repertoires and support the development of a holistic linguistic identity. Embracing linguistic diversity supports the learning of all students. The study materials and pilot projects developed as part of the Maledive project aim to harness linguistic diversity for the benefit of all learners and to promote teacher collaboration across school subjects in order to develop a whole-school approach to plurilingual teaching practices.